Music has the power to heal and unite the world, they say. It is this very power that brings members of the band Magik - Aditya Shroff (Farhan Akhtar), Joe (Arjun Rampal) and KD (Purab Kohli) together once again. Eight years after the success of their first film, the team is back in Rock On 2, albeit with a new captain of the ship and some additional characters. The sequel to 2008’s highly acclaimed and award winning film, Rock On, doesn’t exactly take off from where the former ended. 5 years after Rob’s (Luke Kenny) death and the members of Magik moving on with their respective lives, not all is hunky dory with the band. While Adi takes off for Meghalaya and lives all alone, looking after the welfare of locals in some villages, Joe is now a successful club owner and judge on a singing reality show. Meanwhile, KD creates jingles and songs for various clients. Aditya’s wife, Sakshi (Prachi Desai) lives in Mumbai with their son, Rob, forever longing for her husband’s attention towards the family. Members of the band continue to be friends, trying to meet off and on. However, their past, a dark incident in particular, continues to haunt them. Especially Aditya, who suffers many a sleepless nights. One thing leads to another and Aditya is forced to leave Meghalaya due to a tragedy. Back home, the trio comes across two budding artists - Jiah Sharma (Shraddha Kapoor) and Uday (Shashank Arora), and their passion for music is rekindled. Despite coming from a family that has it’s roots in Indian classical music, with her father Pandit Vibhuti (Kumud Mishra) being a renowned music artist, Jiah has her own fears to conquer and a past, that has prevented the young artist from chasing her dreams. While the story progresses, the condition of locals in Meghalaya grows from bad to worse. Will they ever get any relief or help? Does Jiah successfully conquer her fears, or does Magik ever come together for good? You’ve got to experience this musical drama to find out the answers. The story maybe a bit predictable and the screenplay maybe slightly flawed, but director Shujaat Saudagar’s Rock On 2 has it’s heart in the right place, with some impactful performances and other key highlights. Akhtar as Aditya is flawless, with the right emotions and nuances required for the role. Once again, he sings exceptionally well, especially Jaago, Manzar Naya and the dramatic climax medley, that kicks off with Woh Jahaan. Rampal is top notch as Joe, and delivers a fine performance once again. Purab is a natural and creates good impact with his portrayal of KD. 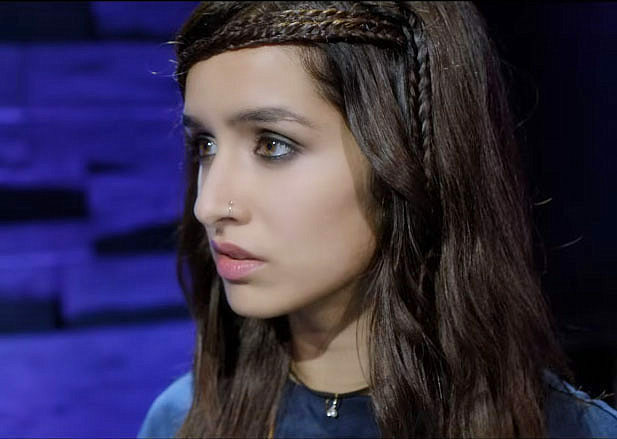 Shraddha is decent and performs well as the vocalist. Surely, her hard work and training sessions have paid off. Arora performs very well as Uday, showcasing the struggles of a budding artist perfectly. Both Desai and Shahana Goswami reprise their respective roles from the first film and have done a good job. However, apart from the exceptional performances, it is the picturesque locales of North East India - mainly Shillong, Cherrapunji among others, that stand out as the hero of this film. A special mention here of Marc Koninckx’s excellent cinematography is a must. Akhtar as the dialogue writer has also done a fairly good job. 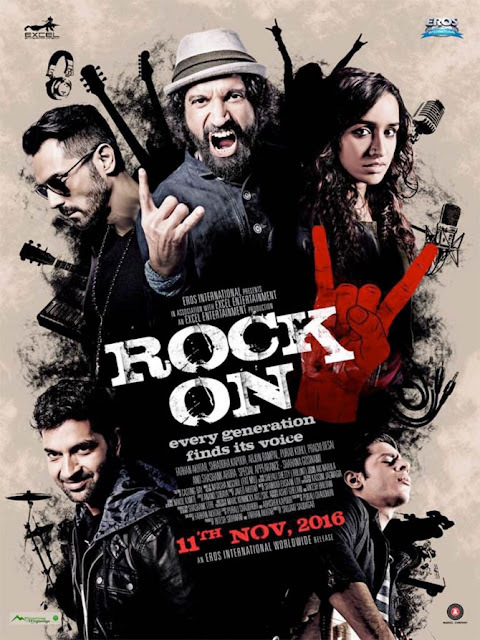 Being the soundtrack of a musical, we can safely say that the music of Rock On 2 (composed by Shankar-Ehsaan-Loy) is decent. We like how they are intelligently used in the film’s narrative. While some are situational, others are very well used as flashbacks to connect the dots. 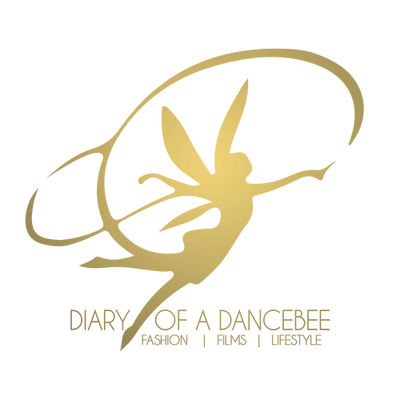 Our favourite from the film has to be Manzar Naya and the finale medley. Farhan and Shraddha’s duet in the super energetic medley has got to be one of the highlights of this film. When you present a sequel to an extremely popular film, expectations are certainly high. However, comparing two films is nothing but an act of foolishness. Fortunately for us, this ‘encore’ managed to live up to some of our expectations quite well. The limitations were overshadowed by a fine package of incredible performances, good music, wonderful locations and decent work by the technical crew. 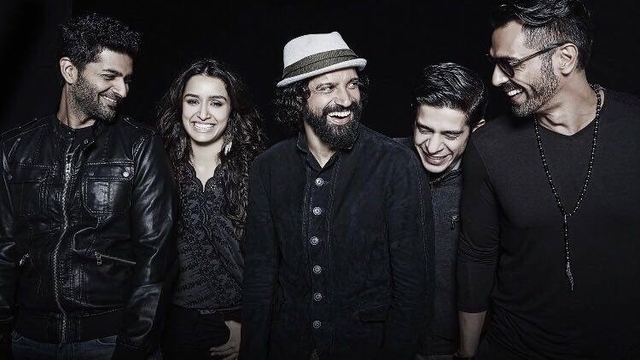 Overall, Rock On 2 is relatable, real and very well presented. Verdict: Add it to your must watch list this weekend and you won’t be disappointed. Magik is back in form with their passion for music, people! Go, show them some love.